Schöner Wohnen is Germany's leading interiors magazine and covers the latest trends in design and architecture plus practical design solutions. 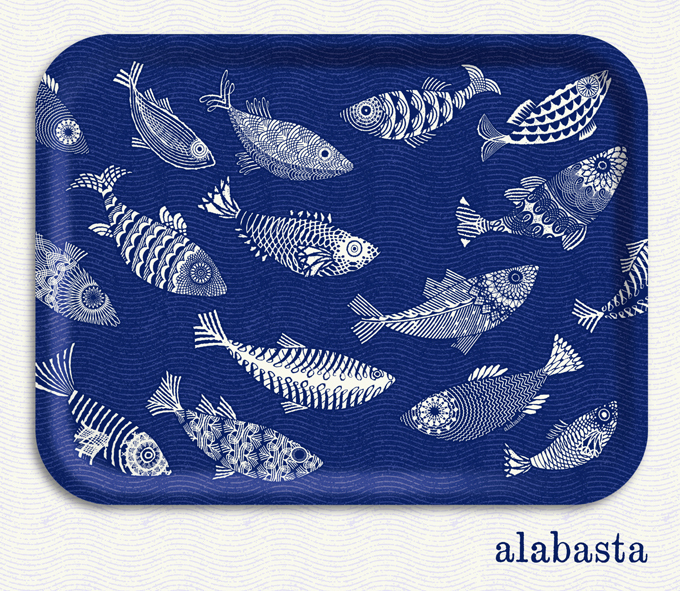 This month they have featured the Alabasta Blue Fish 'canteen' tray which measures 43x33cm in their shopping news page as it is now available in Germany from the contemporary lifestyle shop Rok. This tray design started out with much simpler shoal of fish in black on ivory - in fact Rok do sell this original incarnation as well as the current navy blue version so you can see the development of the pattern.